Green smoothies have never been so easy--or delicious! Unlock the amazing health benefits of leafy greens, fruits, and vegetables using the amazing NutriBullet! These great-tasting, fiber-rich smoothies help you lose weight, gain energy, fight aging, and improve your bone and gut health with a tasty and nutritious blend of vegetables and fruits that will keep you feeling full and satisfied for hours. And it's easy to whip up these simple, healthy drinks any time of day! This recipe book is your all-in-one guide to the many benefits of delicious and nutrient-rich green smoothies. Energize your morning with a sweet Mango Tango. Try a Cantaloupe Quencher to improve your immunity. Drink an Apple Pie for Weight Loss for dessert. You'll meet all your wellness goals with the versatile NutriBullet and these easy-to-make recipes! This book is unofficial and unauthorized. 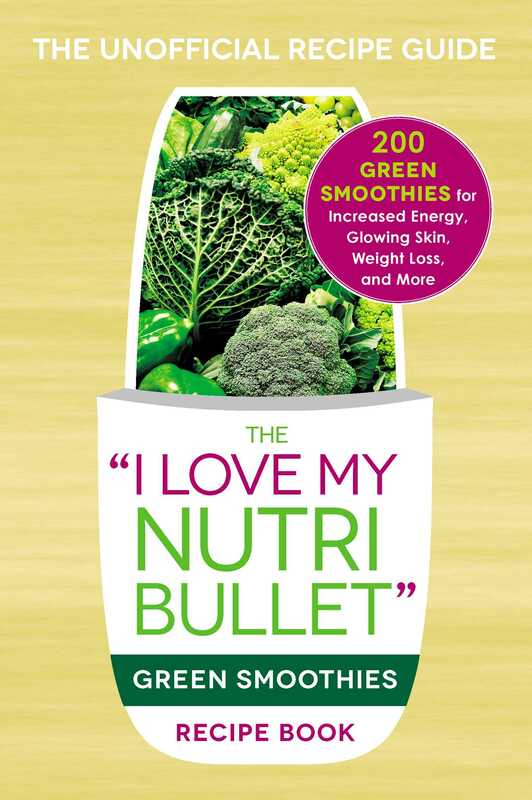 It is not authorized, approved, licensed, or endorsed by NutriBullet, LLC. NutriBullet is a registered trademark of Homeland Housewares, LLC.